Siemens this month announced the advertisement of fourteen available apprenticeships, as part of a huge offshore wind power investment in Hull. The programme, which will run for up to four years, offers Advanced Apprenticeships in Wind Turbine Blade Manufacture, and will lead to apprentices gaining an NVQ Level 3 Extended Diploma in Composite Engineering and BTEC Level 3 Diploma in Manufacturing Engineering, demonstrating Siemens’ commitment to growing its own future workforce in Hull. Talented candidates with a strong desire to build a career in wind power are invited to apply by March 20 and the apprenticeships will begin in September, when Siemens’ Hull blade factory moves into production. For more information on how to apply, visit www.siemens.co.uk/hulljobs. In celebration of Siemens’ announcement, and to honour this as National Apprenticeship Week, we take a look at some success stories from past apprentices. An apprenticeship with Siemens has been the springboard for Chloe Horton to be part of the pioneering Hull development – via Germany and Denmark. Chloe was first employed as an agency worker at Siemens’ industrial drives factory in Congleton, Cheshire, but quickly impressed with her commitment and desire to progress. Joining the logistics department as a Stock Auditor, Chloe soon took on a voluntary position as an employee consultative committee representative, a role that further showcased her potential. And, when an opportunity came up for a prestigious international apprenticeship with Siemens, Chloe was encouraged to apply. Despite fierce competition from 900 applicants, Chloe was selected as one of just seven candidates from the UK and Ireland to begin an apprenticeship at the Siemens Professional Education Academy in Berlin, supported by the Europeans@Siemens scholarship scheme. In January, Chloe graduated from the programme with an Industry-recognised degree in mechatronics – a combination of engineering and computing – despite completing the course in German, a language she learned from scratch. 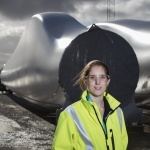 The skills and knowledge she gained equipped Chloe perfectly for her next career challenge as a Trainee Industrial Engineer in the Hull blade factory, a role she will prepare for with a six-months training secondment at Siemens’ sister facility in Aalborg, Denmark, which began in February 2016. 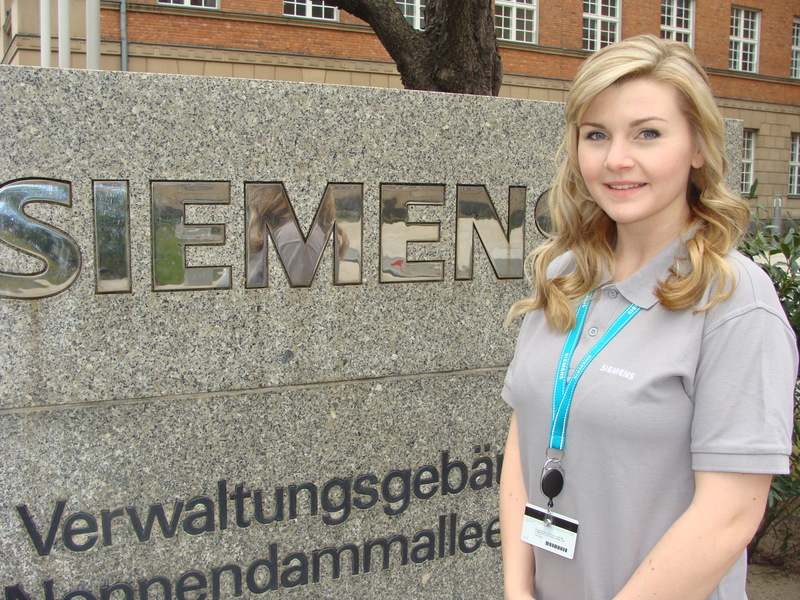 Chloe, who is 25, said: “I’ve had great opportunities to improve myself with Siemens. I’ve gone from a temporary worker in a warehouse to a Trainee Industrial Engineer and I hope to have a great career with Siemens Wind Power. Chloe says an apprenticeship provides the perfect grounding for a career in manufacturing and engineering. “As an apprentice you have such a good foundation of knowledge and understanding, not just from a theoretical point of view but also in terms of practical skills,” she said. 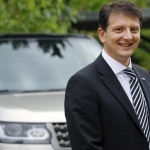 “You also learn to work with people – that’s something you don’t necessarily get by going to university – and, with a company like Siemens, you have so many options after you have completed your apprenticeship. Chloe has an upbeat message for people considering applying for apprenticeships with Siemens in Hull: “Just do it! It’s a great opportunity to be part of this exciting project from the beginning.